Our owners are passionate people; they're passionate about the hobby of backyard birdfeeding and their businesses. They love nature, they love wild birds and they love sharing their enthusiasm about both with their customers. The ideal Wild Birds Unlimited franchisee candidate is someone who is a nature enthusiast with a passion for birdfeeding. They are excited about building a business they believe in and becoming the local source for backyard birdfeeding products and knowledge. Our Franchisees are committed to delivering exceptional customer service with an energetic friendly attitude and interacting with and helping others who share their interest in backyard birdfeeding. Wild Birds Unlimited owners are their local communities' backyard birdfeeding specialists and a premiere source for nature information as well as quality products. But who we are goes far beyond the items we sell. It's our owners' commitment to their customers that distinguishes them from other retailers, a fact that makes us very proud. They enjoy helping their customers understand birds and nature, swapping stories about the latest bird sightings and seeing other people share their excitement. But our stores are more than a birder's paradise. They are resources for unique nature gifts, decorative lawn and garden accessories and a variety of natural home and personal care products. Typically it takes approximately 45-60 days from your first inquiry until you come out to our headquarters to finalize the approval process. 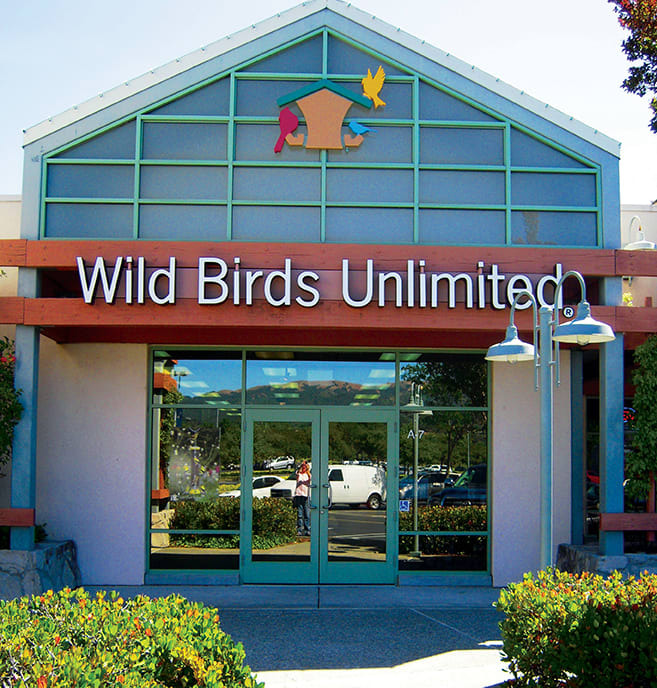 We will be guiding you though this entire discovery process to answer any questions along the way and help you decide if owning a Wild Birds Unlimited Nature Shop is right for you. Note: Wild Birds Unlimited is NOT ACTIVELY FRANCHISING in the following states - Alaska, Hawaii, Maine, Michigan, Nevada, New Mexico and Wyoming.